The Burton GORE-TEX® Glove gives you a guarantee, it's Guaranteed to Keep You Dry®. The GORE-TEX® membrane provides top-of-the-line waterproof protection so moisture can't seep in. It also breathes well so sweat won't get trapped against your skin and rob you of warmth. Speaking of warmth, the GORE-TEX® Glove is insulated to pack the heat, and it has a heater pack pocket where you can add a handwarmer packet for extra toastiness. The coolest part about the Burton GORE-TEX® Glove has to be Screen Grab technology. It lets you control your touchscreen device without removing your gloves. "Will these gloves keep my hands really and I mean really warm?" "These gloves are very warm, but you sound like you have trouble keeping your hands warm. If that's the case, I would recommend mittens like the Outdoor Research Mittens. They make a big difference!" "can the Burton Gore Tex 2-in1 gloves women's also be used for skiing? Thank you"
"Thank you for your inquiry! 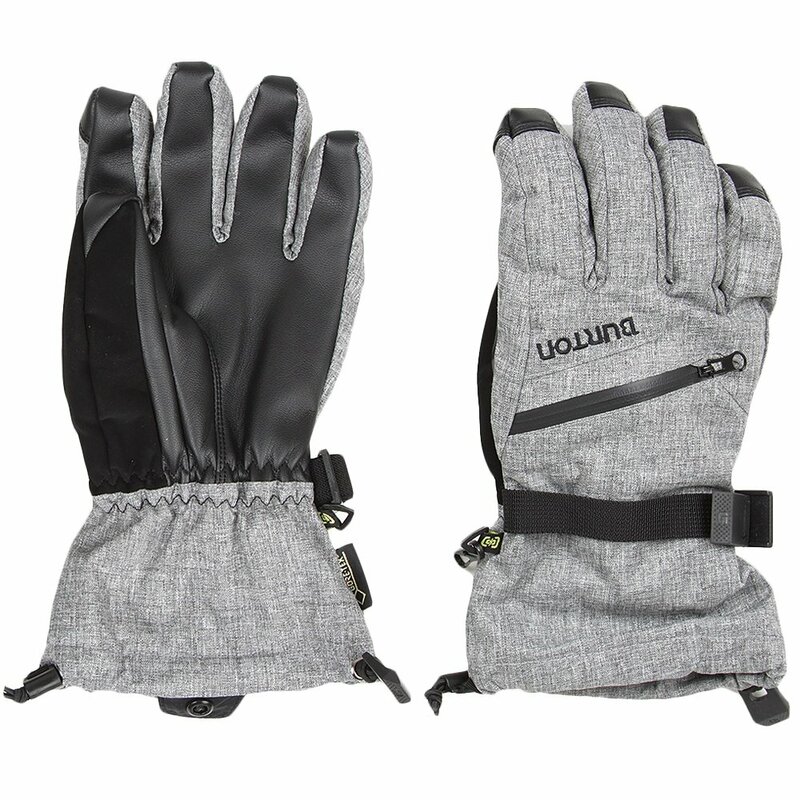 This glove is excellent for skiing and a range of conditions and time on the mountain. We hope this information helps!" "Do these gloves come with the inside liner gloves?" "Thank you for your inquiry. Yes, The Burton GORE-TEX 2-in-1 Glove comes with a removable stretch Thermex liner glove with grippy palm. We hope this information helps! " These Burton GORE-TEX gloves are worth the money. They kept my hands and fingertips warm in Utah in December and February skiing. I did not have to buy hand warmer packets. The inner lining gloves allow you to touch your phone without taking gloves off. Comfortable. Easy to wash. Color matches any jacket. Love all the extras with these gloves.